Pride and Prejudice and Zombies is officially out, even before its elders are married, and the press coverage is pretty overwhelming, so let’s get to it! Lisa Schwarzbaum of Entertainment Weekly gives it an A-. Well, that’s good to hear. We also hear from our bookseller contact, Laurel Ann, that her store sold out of the book just on the strength of that review. Film School Rejects have an interview with the co-author, Seth Grahame-Smith, which contains some more info about the film version of the book. Unfortunately, when I asked Seth if he had any more information on the sale of the film rights for Pride and Prejudice and Zombies, all he could reveal was that an announcement about which studio has purchased those rights should hit the scene sometime this week (and we will be sure to update you as soon as it does, no worries), as well as an announcement about the first actress to sign on to the project. “I think that the actress that might be announced next week is probably the perfect choice,” Seth told me, apologizing for the ban that kept him from revealing more. Metro has an interview as well. Do you have any plans to rework any other classics? It’s inevitable that there will be a sequel of sorts, but I think I’ve kicked Jane Austen’s gravestone enough for now. Nothing to do with Jane Austen but it made us snort. If you’re still not ready for the excerpt, how about the Lazy Reader’s Guide to P&P&Z? Brains for Dinner: Did I mention that this book is illustrated? I got bored and flipped ahead to the next picture, which involves zombies eating the kitchen staff. Bingley is sorely disappointed to see that a table spread of fruity desserts has been left covered in blood and brains, unfortunately inedible. 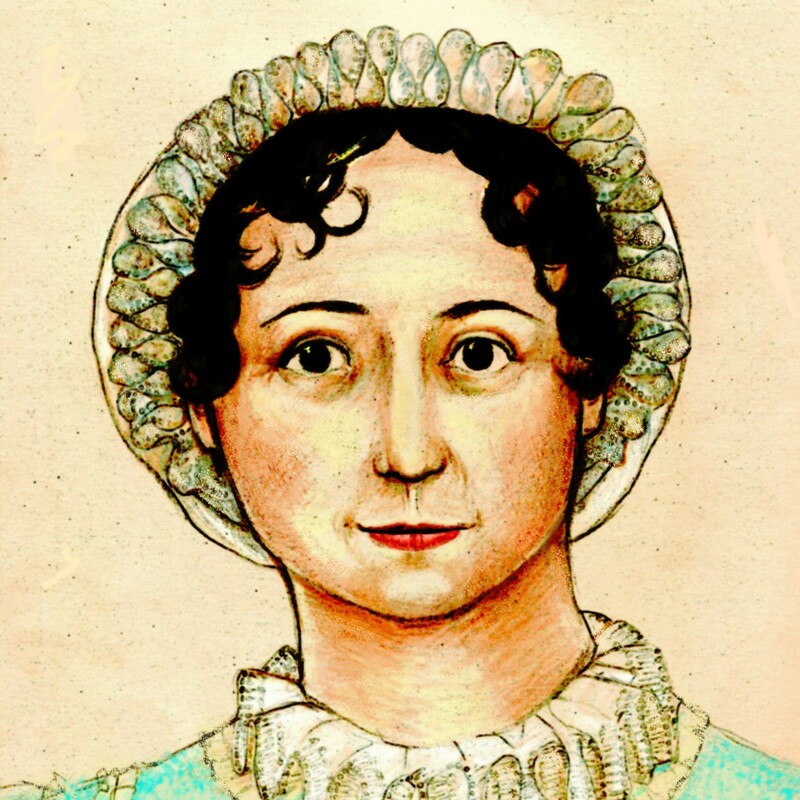 Before Elizabeth is able to dispatch the zombies, Mr. Darcy offers to kill them for her by saying “I should never forgive myself if your gown were soiled.” Swoon. Well, good for Cranky McJerkpants. Lizzy won’t be able to accuse him of behaving in an ungentlemanlike manner now, will she? Alert Janeite Eileen sent us a link to a report from Don Polec, who is known around Philly as covering the quirkier side of the news. We’re hearing good things about the book from those who have scored a copy, and today we only spotted one review that was less than positive, in the Washington City Paper. 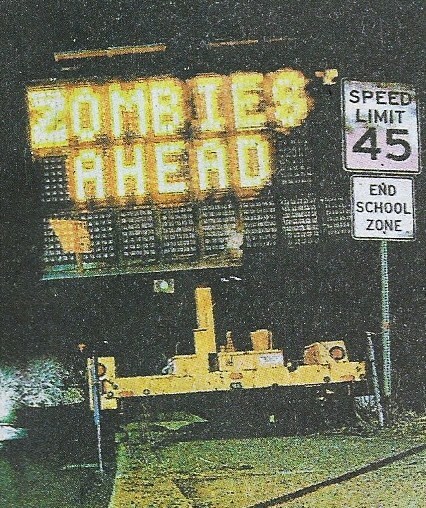 Thanks to Alert Janeite Elizabeth for the photo, which was scanned from her hometown newspaper; someone hacked into a programmable road sign and had some fun with it. Click on the photo to see it full-size.